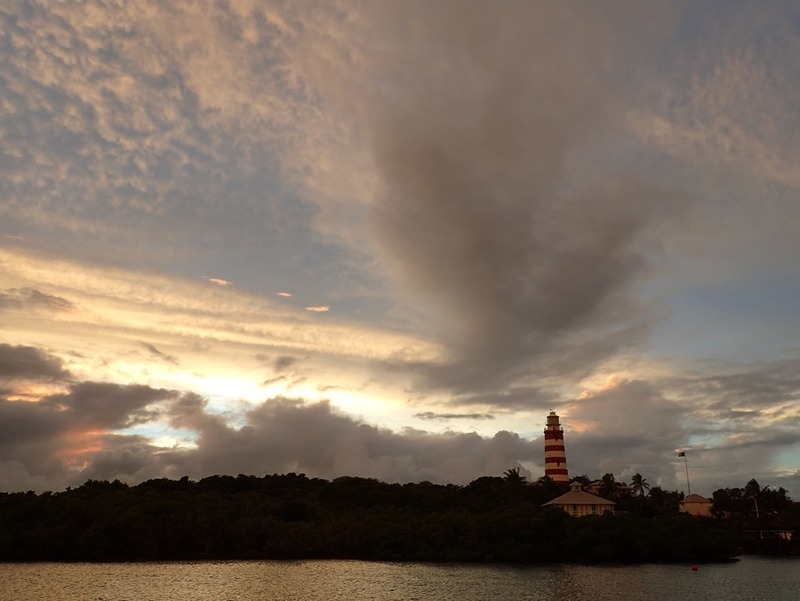 A tropical “wave” was detected in the central Bahamas. It was being watched by the weather gurus. Goldwin monitors such information on an early morning SSB broadcast by Chris Parker. 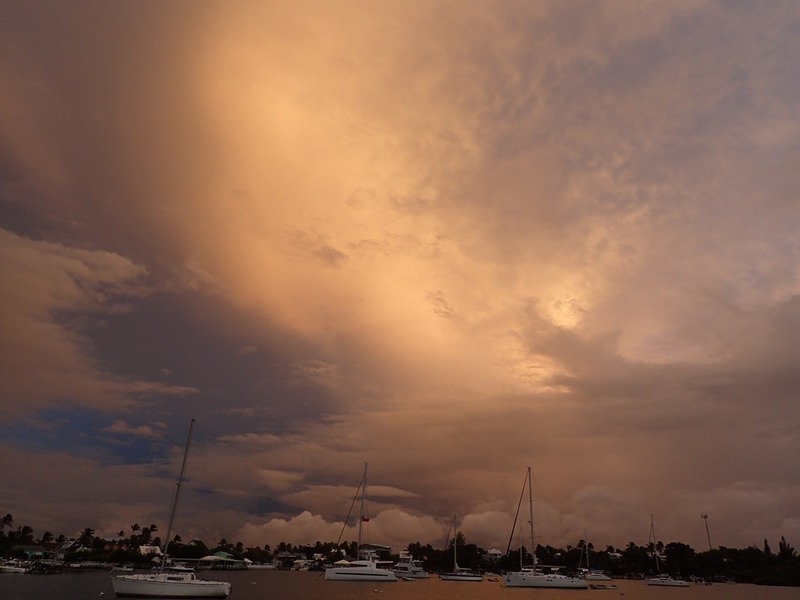 The wave might dissipate or, as Parker predicted, quickly develop, as Joaquin had – she left a path of destruction in the southern Bahamas just weeks ago. The wave became Tropical Depression 12. By Monday morning, TD 12 had deepened and was predicted to become Tropical Storm Kate, and move over Eleuthera and through Abaco. If the storm passed to the east of Abaco, we would see winds of 15-25 from the north and west, starting Monday afternoon, through Tuesday morning. If the storm moved to the west of Abaco, winds would peak at 30-50 from the east, southeast and south. We were rooting for the former. One to two inches of rain was predicted as well. 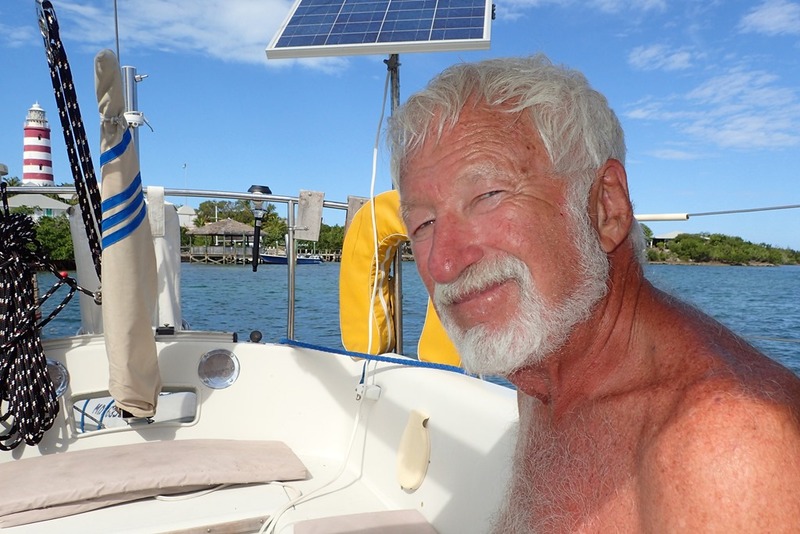 We left the marina Monday morning and selected a mooring with twin green buoys, owned by Truman, who takes great pride in keeping his moorings well-maintained and the boats that use them safe. 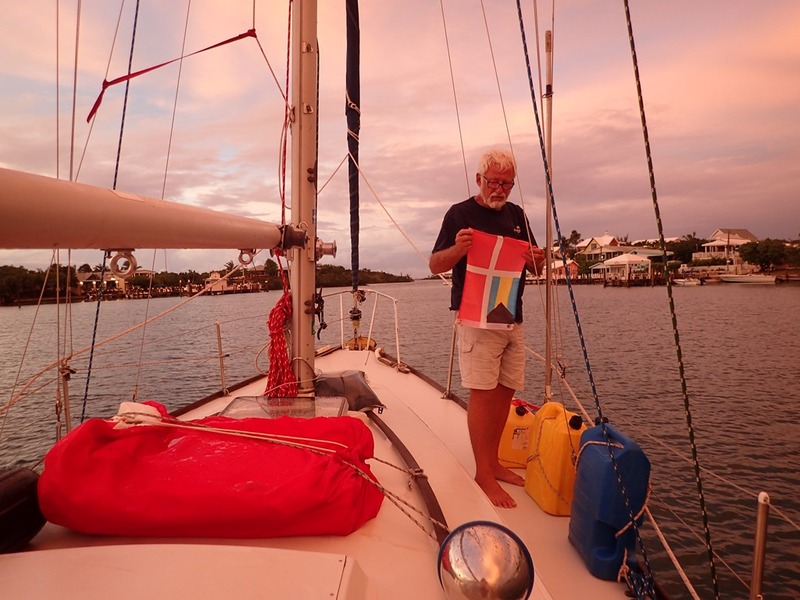 We planned to spend the winter on a mooring and we definitely wanted to be on a mooring if the storm was severe. 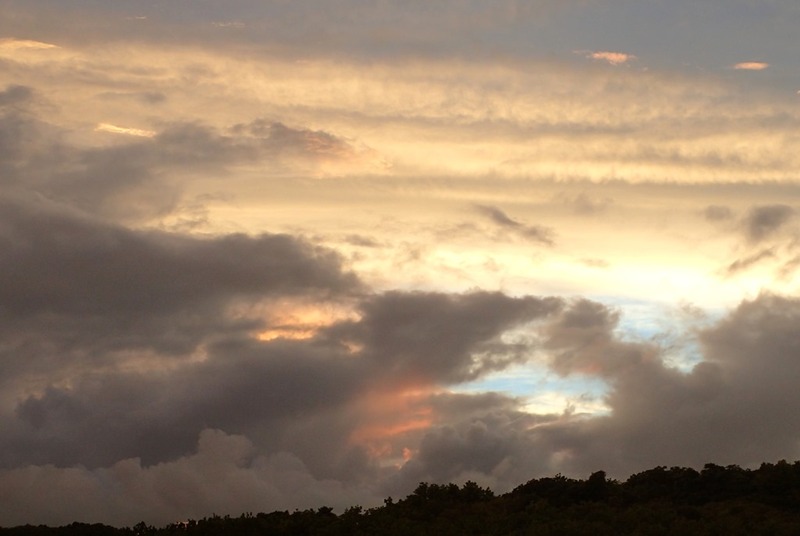 But right then, the weather was perfect – a storm seemed so unlikely. In preparation for the storm, we removed or secured everything on Motu Iti’s deck so that nothing would be lost during the expected winds. Identity theft! 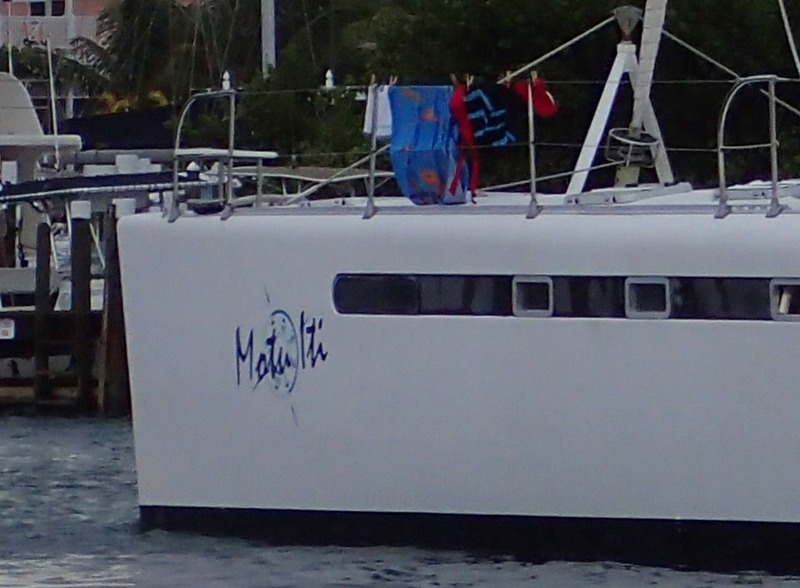 Although I doubt anyone could confuse our boat with theirs – our Motu is a LOT more Iti. 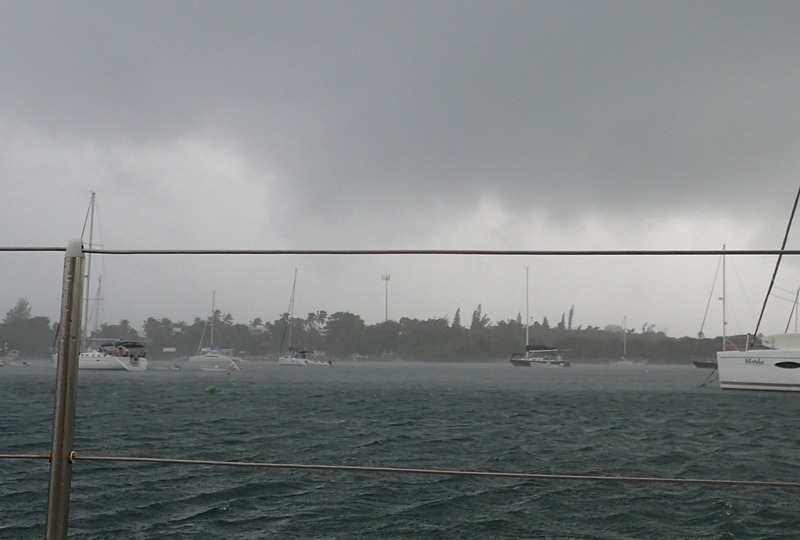 About mid-afternoon a dark squall line hit with 25 knot winds – strong gusts, leaning the boats over, and pushing up a good chop in the harbor. Sheets of rain. Exciting. Then it was over and we waited – nothing. Except for some really spectacular cloud formations at dusk, proof of the strong weather system that was passing close to us. Later in the evening the wind strengthened and the rain came. But no strong, sudden squall lines. And we had a peaceful night. Kate had veered further east and was well out to sea – predicted to become Hurricane Kate – but no threat to us. Glad to hear it mostly missed. Dan has been asking me to check the weather for your area; he was watching the predictions too!